Choral music is the subject of significant, unprecedented growth in contemporary societies, extending to the four corners of the world. Assuming a variety of forms, it is practiced in conservatories of music, schools, universities, and places of worship, and within a framework of cultural activities overseen by both secular and religious associations. It undeniably plays a social and educational role in transmitting values and creating and reinforcing bonds in societies that may be experiencing a weakening in their social fabric. Viewed at surface level, choral music is a vocal practice founded on the experience, that is to say on the tradition, as well as the knowledge and charisma, of the choir director. The role of this central figure, the pivot point for transmission, is to accompany the singers in their vocal work and to transmit the knowledge he or she has acquired over many years as a director. Beyond the eminently particular nature of choral practices, however, it is interesting to look more deeply into their inductive dimension. Should choral music be reduced to musical practice isolated from scientific knowledge ? Would it not be relevant to dig deeper into a corpus of more objective information? In most cases, the knowledge represented by what is today designated by the term “choral art” flows from the choir director’s empirical work. Its practice, including its most particular aspects – whether that be the director’s conducting gestures or musical interpretation, or the actual management of the choir – is analysed and conceptualised from a subjective standpoint (the “gut instincts” of the choir director). 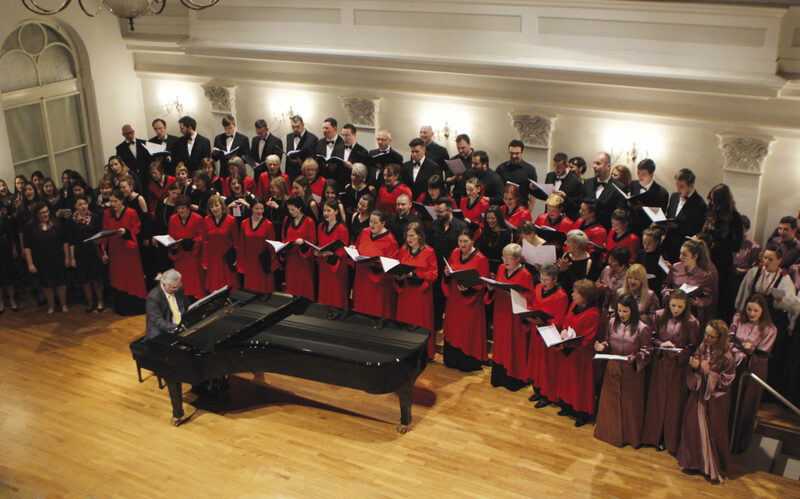 The diversity of situations and their specific cultural features enrich the experience of the choir director in the choral group’s musical and human conduct. However, these experience-based approaches could benefit considerably from – and be validated by – the contributions of scientific and experimental methods. The question is not so much whether to place choral “art” in opposition to the new choral “science”, where the former would reflect the fruit of tradition, history and practical experience, while the latter would draw on the contributions of scientific disciplines such as physics, acoustics, physiology, medicine, sociology, psychology, etc. or even some combination of them – but rather to ponder what is at stake, notably in terms of legitimacy and credibility, of this movement from art to science. It is rather a question of acknowledging the staunchly complex, transverse and transdisciplinary nature of choral music as a subject or field of research. Because the goal of the entire endeavour is in fact to articulate its complexity, in order to assemble and transmit knowledge as a corpus in a form that can be grasped and understood at all levels, by choristers as well as choir directors. In reality, the work of the choir director cannot be reduced to knowledge founded on experience alone. The director must explore and expand upon the contributions of other disciplines in order to better grasp the musical and human dimensions of his or her work. With all the advantages of a scientific approach towards choral practice, which would confer a more rational dimension upon choral art, thrown into the bargain. The contribution to music of both the exact and human sciences was fundamental throughout the 20th century. Every aspect of the act of making music and of singing – notably the historical and linguistic ones – can be analyzed by the scientific method. As a constituent element of music, choral music is in a position to surpass this methodological state, going on to suggest that practitioners take steps towards a truly rationalized knowledge base. 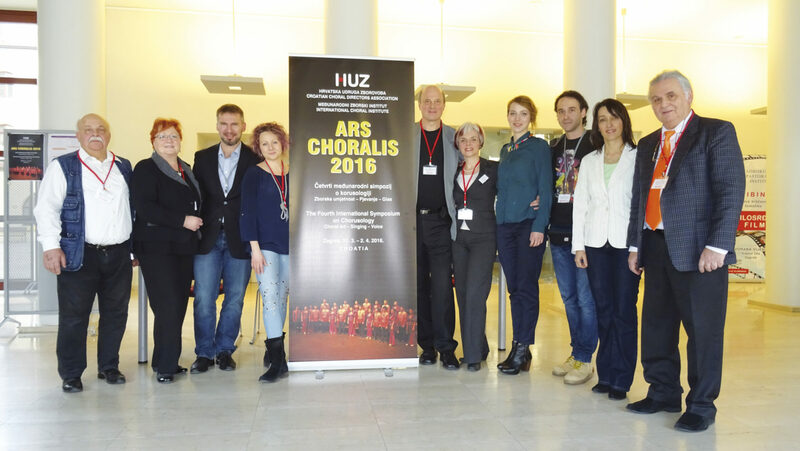 It is this rational knowledge base that should be compared, filled out and disseminated, finally achieving the creation of “chorusology”, a new discipline defined by Branko Starc at the opening of the First Symposium of Choral Music in Zagreb in 2010. 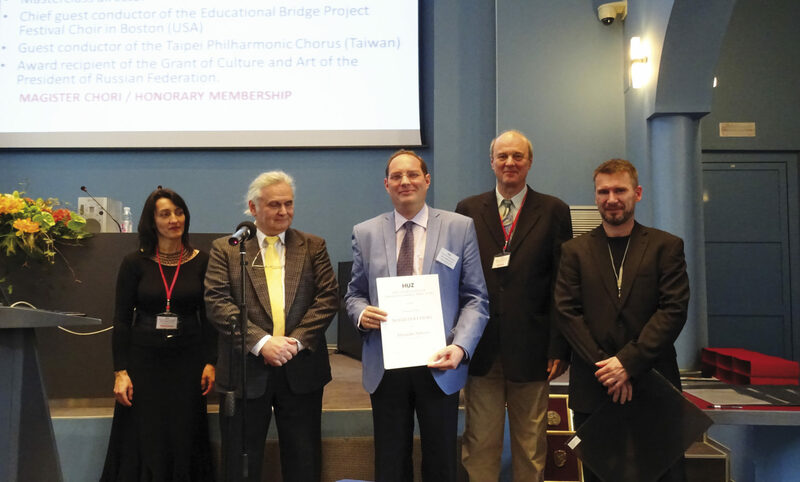 This transdisciplinary field of “chorusology”, located at the junction of scientific research work on the natural and cultural dimensions of the collective voice, proposes to the choral world a closer connection between choral practices and the sciences. But does the choral art really need scientific understanding in order to improve? Yes, without a doubt, considering all the domains of knowledge that a choir director is presumed to understand – acoustics, physiology, medicine, music history, musicology, and many other social sciences. At the most recent “Ars Choralis” choral music symposium, held last March 31 to April 2 in Zagreb, choir directors, university professors, doctors, physicians, acousticians, and school directors shone a more objective light on contemporary choral practices, enriching a corpus of knowledge that extended beyond “choral art” and paved the way for a scientific analysis of choral practices. This fourth symposium made known the latest contributions of anatomy and physiology, notably on the characteristics and conditions of vocal production (Overtone singing, Anna-Maria Hefele, Germany), breathing and the position of the larynx (Flow-Ball, a new tool for practicing semi-occluded vocal tract gesture, Filipa La, Portugal), as well as on problems related to its aging (Aging of the vocal tract, Irena Hočevar, Slovénie) and the anatomical interactions of vocal support (A review of singing voice sub-system interactions, Christian Herbst, Austria). New discoveries were also reported on the acoustical conditions of choral singing (Tuning considerations in capella choir singing, David Howard, United Kingdom), as well as on vocal production and the relationship with well-being that it induces (Singing, brain and emotion – how do they connect, Per-Åke Lindestad). The physiological, anatomical and acoustic dimensions of choral singing did not obscure another fundamental dimension, that of the social and human sciences. 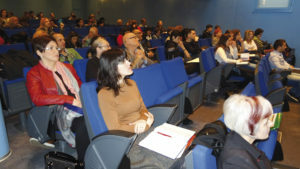 Many speakers recounted the historic and ethnic dimensions of gathered voices within this framework, with a sociology lecture on choral practices presenting the collective voice as a vehicle for transmitting values and norms associated with a society or group (Choral singing and sociology: Sociology’s contribution to art choral, Henri Pompidor, France). Choral singing participates so much more in this social field that it must be equally understood within a historic and analytical context (Influence of Gregorian chant in Duruflé’s music, Andrea Angelini, Italy). This double dimension (social and historic) was also found in presentations by actual choral education institutions, notably in the Czech Republic (Boys choir of the Czech Republic, Jaroslav Slais, Czech Republic), in South Africa (Boys choirs: do they still matter?, Johannes Van der Sandt, South Africa) and in India (Music education in India, Anjana Abraham, India). These schools find their raison d’être in the beneficial contributions of choral singing to a broader musical education (Cooperation between the music school and the environment, Martina Prevejšek, Croatia) and in the development of choral cooperation and the creation of networks (The European network for professional chamber choirs, Babette Greiner, Netherlands). Other talks focused on the ethnological and musicological analysis of vocal practices, including presentations on the national repertoires of host country Croatia (Techniques of Croatian traditional singing, Bojan Pogrmilovic, Croatia), and of Malta (Music practice in Malta, Johen Galea, Malta), Hungary (The style of Gyorgy Orban, Katalin Kiss, Hungary) and Russia (Russian contemporary choral performing and repertoire, Alexander Soloviev, Russia). Participants were able to learn about specific vocal practices, such as the use of “clics” that characterize South African vocal music (Click sounds in South African languages, Anne-Marie Van Der Walt, South Africa). Workshops allowed participants to learn and perform Gospel numbers (Lift every Voice, Reginald Golden, United States), traditional South American songs (Let’s sing! Music of Mexico and Latin America, Marco Antonio Ugalde, Mexico) and even excerpts from American musical comedies (How to sing American musicals?, David McShane, United States). To sum up, the fourth Zagreb Symposium made clear the importance of scientific research in the development of choral practices. Scientific disciplines, both “hard” and “soft” (human), were able to be in dialogue and inform one another about choral singing in an unprecedented way (The Learning conductor, Thomas Caplin, Norway). These approaches, which do not in any way call into question the experiential nature of the choral art and the particular practices of thousands of choir directors throughout the world, aim at proposing an objective and complementary corpus of knowledge that choirs can draw from to improve themselves. 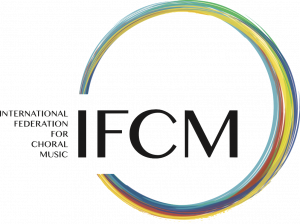 This is the wish expressed by Branko Starc and the participants, who hereby invite all involved in the choral music world to return to Zagreb in 2018 for the Fifth International Symposium (cf. Choralis 2018).